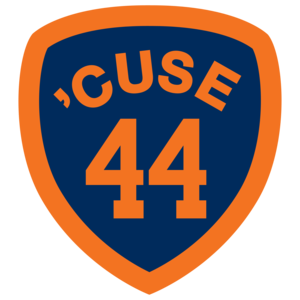 At my alma mater, Syracuse University, 44 is a magic number. It is Jim Bown, Ernie Davis, Floyd Little, Larry Csonka. The city changed its zip code to include "44" and the student phone exchange prefixes begin with 44. Today, this Syracuse grad turned 44 with very little fanfare. I was in Clemson and got a call from the kids in the morning, singing "You're growing old, you have gray hair...and dirty underwear." I didn't tell any of my crew, and despite a couple of odes to me on Twitter and Facebook, nobody noticed. I don't make a big deal about other people's birthdays (or any of the Hallmark holidays) so I don't expect any well wishes in return. It's not the roadmap to a healthy relationship (or maybe it is, I'm still figuring that all out). The last day of February is just another day on the calendar, or as I learned today, Dean Smith's birthday. But he's 82, much closer to the median age of a Fox News viewer than I.
I did spend my day in Clemson with a great lunch at The Esso Club and a late dinner at 356 Sushi. In between was a very mundane win for North Carolina over Clemson. It was a pretty typical day on the road and never felt like a special day. It's just another day and another year removed from my youth, never more evident than on a stop-over on a fun college campus. And it's a number that reminds me I haven't changed the world in any meaningful way. Biggie Smalls kicked in the door, wavin' the four-four. I went quietly into March 2013.